In a sort of introduction to the book version of Journey of Faith: From Jerusalem to the Promised Land, S. Kent Brown tells a short, little-known story about an experience he had while working at the BYU Jerusalem Center in April of 1996. Brown mentions this only in passing, as it served as the first in a series of events that eventually lead to something very different: the Journey of Faith film. Brown is not clear whatever became of that project itself, but given that 20 years later nothing like that has been published, it is safe to say that it ended up not going anywhere. Still, I do not think that makes Brown’s initial thought any less relevant: the publisher of the most distinguished series of atlases on the Bible was willing to publish a similar set of atlases on the Book of Mormon. This is nothing that will make headlines 20 years later, but it is an example—and small one, to be sure—of a reputable non-LDS publisher taking work on Book of Mormon geography seriously. 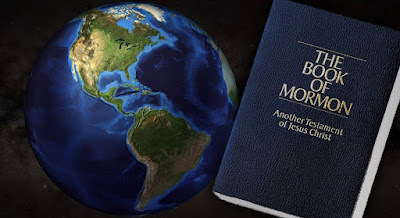 I guess Book of Mormon geography is not a TOTAL laughingstock among non-Mormons. It is not clear to me why you think you can make that judgement. I mean, nothing in my post, nor in the anecdote, indicates where they would have made the maps for. And even if it did, I don't see how you can be so sure that it is the wrong place. There is no revelation on the subject. So, I see no reason why you should be able to declare with utter certainty that any particular map is the wrong place. Such an assertion first requires a specific places to declare wrong, and it needs a reasoned argument as to why it was wrong.